Jennifer is a registered dental hygienist who earned her associates degree in dental hygiene from Monroe Community College in 2005. She currently holds licenses from New York State in both dental hygiene and cosmetology. Since starting her career in Canandaigua with a general dentist, she has been with Dr. Addona since 2005. 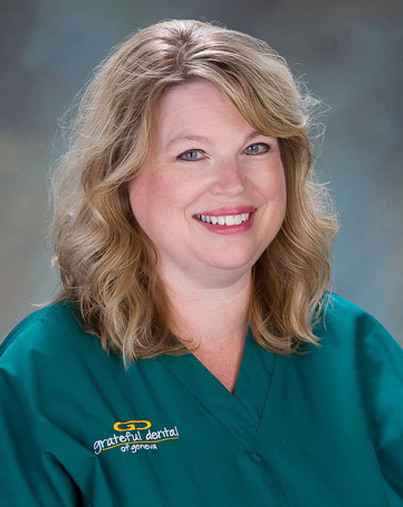 She is excited to continue working with the Grateful Dental Team led by Dr Terri Skalyo. Jennifer attends many continuing education classes to keep current in the field of dental hygiene. When she’s not working, she enjoys shopping, walking her dogs and spending time with her family.